What does a robot have to do with spine surgery? 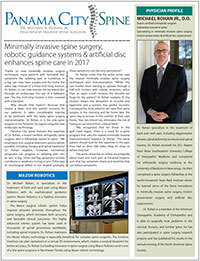 Actually this is the latest and most impressive advance in spine surgery that greatly improves the precision of spine surgery, according to Dr. Michael Rohan, Jr., a fellowship-trained spine surgeon, and one of the first spine surgeons to use the new technology in Northwest Florida and Florida Gulf Coast region. The Mazor surgical robotic guidance system creates pinpoint precision throughout the spine surgery, which increases accuracy and favorable clinical outcomes, explains Dr. Rohan, Jr. "This highly advanced robotic system has been used in thousands of spinal procedures worldwide, including spinal implants,” says Dr. Rohan Jr.
Dr. Rohan maintains the Mazor robotic technology is especially beneficial for complex spine surgeries. "The intuitive interface can plan operations in a virtual 3D environment, which creates a surgical blueprint for better accuracy,” he explains. “The surgeon maintains full control during surgery. The robotic guidance system simply guides the surgeon to the optimal entry point and the precise trajectories needed during the surgery. Because much of the work is done before surgery with the robotic system developing a surgical plan for ideal location of screw placement, less time is needed in the Operating Room. This reduces time under fluoroscopy for the patient and the OR staff. Dr. Rohan, Jr. notes that many patients are unaware that many older spine surgeons are still using traditional open spine surgery with 3-inch incisions. The training involved to operate through a half-inch incision and tubular retractors is significant and many older surgeons are reluctant to commit to the necessary training in the end of their career, even though there is significant benefit to the patient from a tiny incision, including less blood loss, faster recovery with less pain. The Mazor robotic technology makes use of new technology that provides more precise guidance to the spine surgeon during spine surgery for placement of fixation screws. 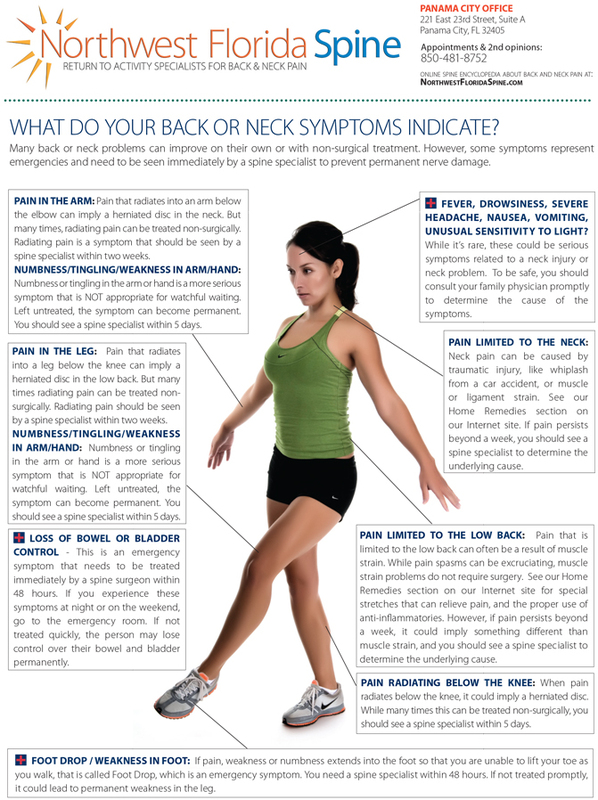 Patient can find out if they are a candidate for minimally invasive spine surgery and Robotic guidance by calling Northwest Florida Spine for a consultation, at 850-481-8752.